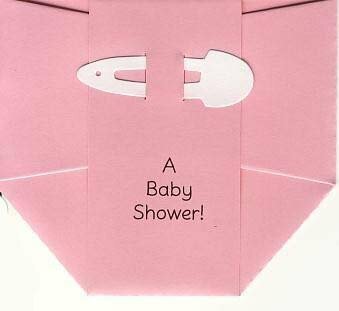 This set of 24 Pink Diaper with White pin baby shower invitation cards comes with envelopes. Handwrite necessary information on the pre-printed lines. Just fill in the information and send off for a fun unusual invite to celebrate the new baby!